Current status: Download and email support work as normal but messages sent by the form on this site might not reach us because of upgrade reasons. 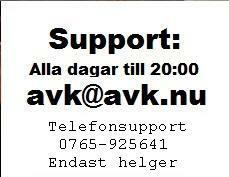 If you need support, email avk(at)avk.nu. Note: It is recommended that you read this information before downloading songs from this site. If you download to a cellphone, Mac, or other device that is not a PC (Windows), you must make shure that your gadget has the correct programs to unpack ZIP-files. 1.) Complete your order at our site ! 2.) Recieve your download links ! In other words, by clicking the button "Return to..." at the Paypal confirmation page or "Continue" at the Payson site, you will be re-directed to your download links. If you miss that detail your order will or might be delayed. 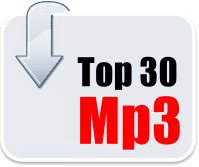 Mp3+G is simply a compressed audio file (Mp3) and a text file (CDG) that might be played at the same time in a laptop or a compatible USB karaoke player in order to sing in the same way as with an ordinary karaoke disc. You can use the Mp3 only without the CDG file if you prefer that. Help - I did not recieve a download link ! If you were not re-directed to our site and your download link, you did not followed the instructions above. 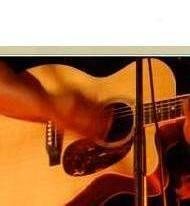 Contact us *Here* in order to specify your songs and recieve them in your email ! These files are instrumental without lead vocal but may contain background vocals such as choir or second vocal. The files are in zip format. If downloaded to a PC, just double click or rightclick on a file in order to open it. For Mac you might need an opening program for zipfiles. If you download these files to a cell phone, make sure your cell phone can handle zipfiles correctly !